Well I’m a man of my word. As promised in the blog, here is the first of three videos documenting the transvecto journey. “Transvecto One” is a 15 minute sequence of nearly every shot filmed from a GoPro camera mounted on the dashboard of Magda, from London to Sydney. It’s high definition, so make sure you get the good quality one, and sit back and see what we saw from beginning to end. The music is actually something we listened to a lot while we were travelling, and always said it would work nicely with this footage. ps. watch it in HD. It’s better. The GoPro in its usual spot. Mongolia. ← Beginning of the End? Absolutely epic movie Benn. 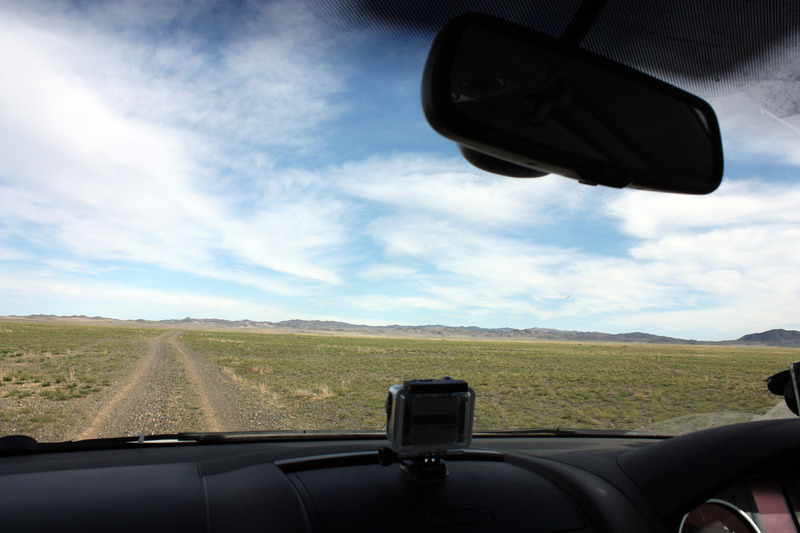 Amazing trip, the GoPro doing a great job of capturing the essence of what it was all about – a truckload of driving! Great website, We done London to Cape Town in 2011, after watching your video’s I need to start planning again. I really enjoyed this vid – excellent idea and well edited. Gives me ideas for my new GoPro and our upcoming trip. Thanks. Wonderful story…. Thank you for the chance to share it with you.